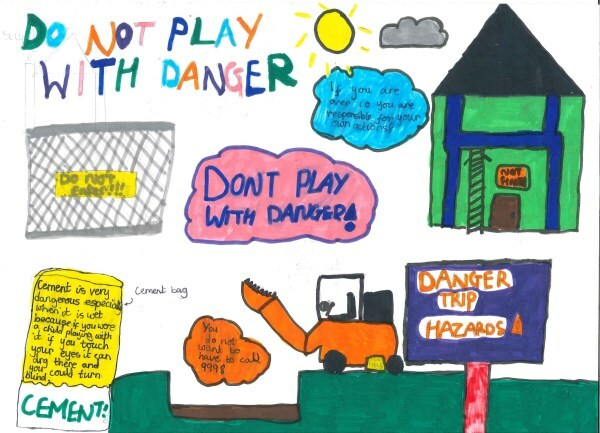 The Build team at the South East region's Windmill View development in Clanfield, Hampshire have been working with a nearby school to get the health and safety message across to local youngsters. Site manager Colin MacLeod paid a visit to the Year 5 students at Clanfield Junior School as part of a project organised in liaison with Radian, the landlord for the social housing at the development. As well as giving a safety talk, Colin was called upon to judge a special poster competition which had been launched a few weeks earlier. The winners, shown here, have now been made into laminated posters being displayed across the development and were all designed by girls - Mia Harvey, Rebecca Constable and Holly Woodings. 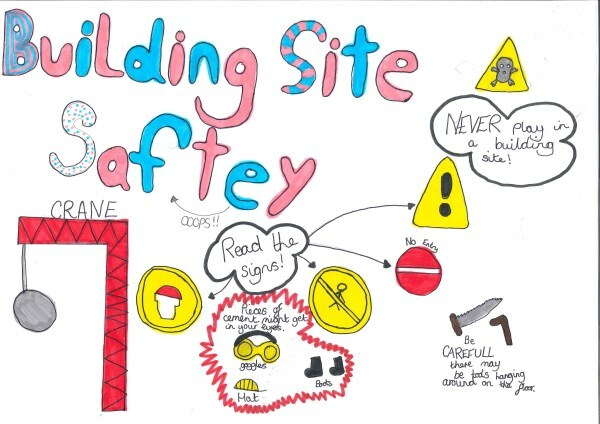 "It's a simple but effective way to engage with children and get them to think about health and safety issues around building a development," said Colin. "The school were very welcoming and the winners were suitably excited. 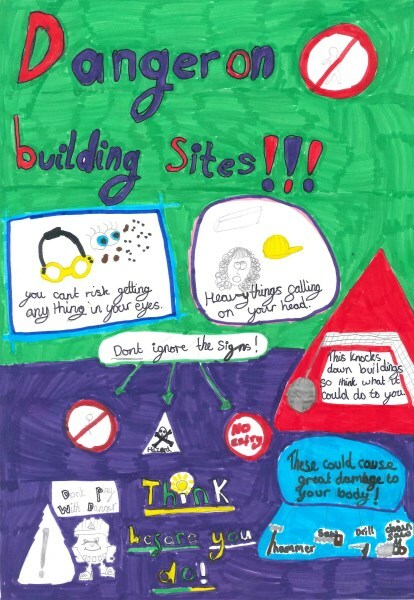 "We chose them because they had a clear and simple message about health and safety which children could relate to."